Brewer Science temporary wafer bonding systems allow for safe handling and transport of ultrathin wafers during rigorous backside processing steps. 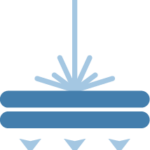 Ideal for low-volume R&D production environments, the chemical release system involves bonding the device wafer to a perforated carrier for further processing. After processing is completed, the bonded pair is placed in a solvent bath for separation. 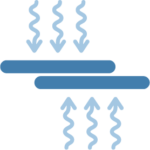 In the thermal release system, the device wafer is bonded to a standard carrier wafer and later separated via a high-temperature “slide” process. Both manual and automated equipment sets are available, making the thermal release system ideal for low- to mid-volume production environments. The mechanical release system offers low-stress separation suitable for both low- and mid-volume production environments. In this system, the bonding material is paired with a special release material on the carrier wafer, making it possible to gently separate the wafers. In the laser release system, the device wafer is bonded to a transparent glass carrier using a bonding material and a release material. Once processing is completed, the pair is separated by exposing the release material with a laser source. 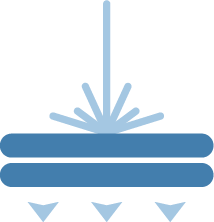 Low-stress separation coupled with high throughput make the laser release system suitable for all production environments. Our proven temporary wafer bonding systems are designed to fit into a variety of process scenarios with minimal disruption. We offer proprietary materials for low-volume R&D environments, and we work with leading equipment vendors to provide fully automated solutions for higher-volume needs. Brewer Science was one of the first companies to recognize the potential of temporary wafer bonding for ultrathin wafer handling. Connect with one of our experts today to see how we can optimize your ultrathin wafer handling process. Ultrathin wafers provide better heat dissipation, take up less space, and offer enhanced connectivity over conventional device wafers. By thinning device wafers after they have been processed, engineers can achieve the performance improvements and form factor reduction demanded by cutting-edge devices. Ultrathin device wafers are extremely fragile and require a rigid support that allows the wafer to undergo further processing before it is diced and packaged. 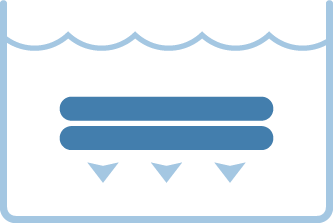 After surviving harsh processing conditions, the thin wafer must then be separated from the rigid support without resulting in damage.